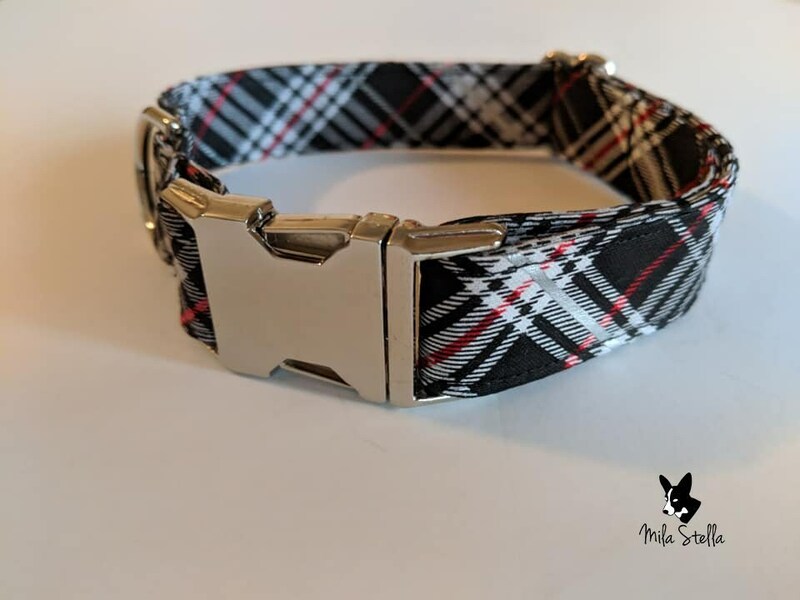 This gorgeous collar is perfect for the cooler fall and winter months with the cheerful black, white, red, and silver plaid print and the coordinating silver (nickle plated) metal hardware. Though you can choose gold hardware if you prefer! Measure around your dog's neck to determine which size you need using the size chart below. All collars are 1 inch wide. You may also choose between silver and gold (brass plated) durable metal hardware. Mila Stella collars are handmade with quality, durability, and style in mind. Your dogs deserve the best after all! Each collar is made with 1 inch Polypropylene webbing, which is more mildew resistant than a nylon webbing. 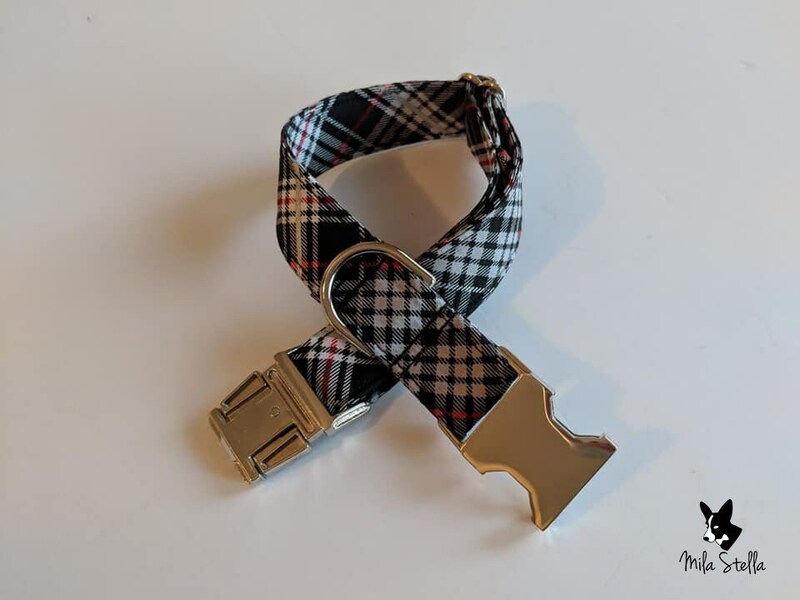 Every collar is made with nickle plated metal side release buckles, D rings, and triglide sliders for you to adjust the collar to fit your pup perfectly. Collars are made to order. Pattern placement may vary. Please note: Over time, collars may show wear. 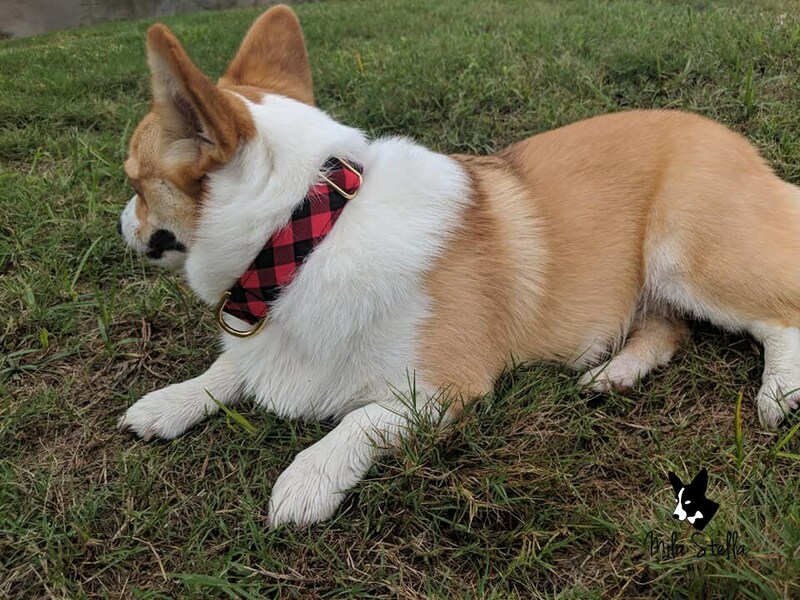 For your pup's safety and security, please replace the collar as needed. We are not responsible for your dog's safety while wearing our products. Care instructions: To preserve your collar and the metal hardware, hand clean only with a mild soap or detergent. Lay flat to dry.